Being Situated in Hertfordshire we have nearby locksmiths in all of the surrounding areas including: Hertford, Bishops Stortford, Ware, Hoddesdon, Harlow, Sawbridgeworth, Buntingford, Spellbrook, Welwyn Garden City and many more. Our team of Locksmiths our certified professionals in their trade. They aim to be with you at your property or vehicle with 30 minutes of a call for a truly swift service. 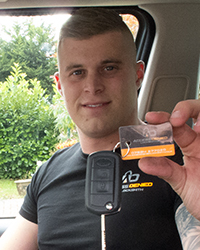 As Access Denied we promote a policy of “Best Price Available.” This means when you call our team of nearby locksmiths we will beat any quote you have previously been given for like for like work. We will also endeavor to be at your property within 30 minutes if your happy with the quote given. Our Nearby Locksmiths are fully Qualified Professionals who will happily show you proof of their credentials should you want to see them. We only use the highest standard of Locks rated at BS3621 Standards, All locks fitted will come with a full 12 month guarantee for standard wear and tear. The team of Locksmiths work 24/7 and no job is too big or too small, when it comes to home security. Whether you need a simple lock changed or you have to all your locks redone and doors we have the team. We will come to your property carry out the work and always clean up behind us. With our team of nearby locksmiths you will never be charged or quoted for work you do not need. Our team will show you what work needs doing. What parts options you have and then carry out the job in the most efficient way possible. So in conclusion if you need Nearby Locksmiths who are cost effective, fast and only use the best. Call us now on 07534 277020 Prices start as low as just £49.00.